"If you drop a spherical particle in a flask full of water, what is the velocity distribution in the space between the particle and the inner wall of the flask?" Everybody knew the answer, and Prof. Simons invariably started every prelim exam with the famous question. One day, a student worked up some courage, and asked him: "Prof. Simons, you always ask the same question on the prelim. Everybody knows the answer. Why?" Simons responded with a smile: "Its simple; whoever does not know the answer, I flunk him." 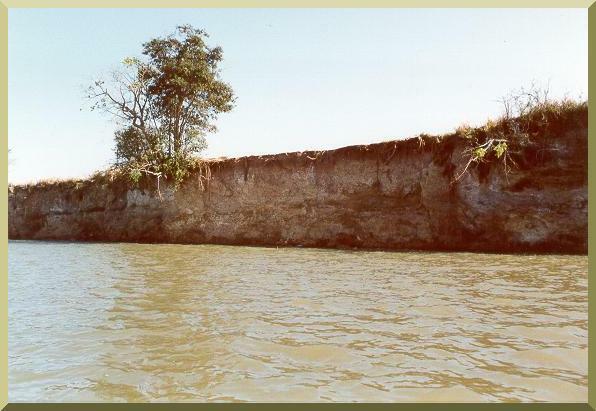 Bank erosion on the Rio Apa, along the border between Brazil and Paraguay.